On September 11, 1857, a group of Mormons aided by Paiute Indians brutally murdered some 120 men, women, and children traveling through a remote region of southwestern Utah. Within weeks, news of the atrocity spread across the United States. But it took until 1874—seventeen years later—before a grand jury finally issued indictments against nine of the perpetrators. Mountain Meadows Massacre chronicles the prolonged legal battle to gain justice for the victims. 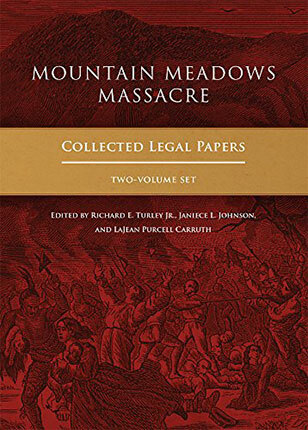 The editors of this two-volume collection of documents have combed public and private manuscript collections from across the United States to reconstruct the complex legal proceedings that occurred in the massacre’s aftermath. This exhaustively researched compilation covers a nearly forty-year history of investigation and prosecution—from the first reports of the massacre to the dismissal of the last indictment in 1896. Volume 1 contains the first half of the story: the records of the official investigations into the massacre and transcriptions of all nine indictments. Eight of those indictments never resulted in a trial conviction, but the one that did is documented extensively in Volume 2. Historians have long debated the circumstances surrounding the Mountain Meadows Massacre, one of the most disturbing and controversial events in American history, and painful questions linger to this day. This invaluable, exhaustively researched collection allows readers the opportunity to form their own conclusions about the forces behind this dark moment in western U.S. history. These volumes are designed to be read in conjunction with the John D. Lee Trial Transcripts, which are presented on this website in a unique matrix that enables the reader to compare the varying records of the two Lee trials. Mountain Meadows Massacre: Collected Legal Papers is available from the following retailers. The supplemental material, which consists of thousands of pages of trial transcriptions, is not available in a print book but is available as resource on this website. For details about the archive see Explanation of Column Headings in John D. Lee Trials Matrix and Introduction to the John D. Lee Trial Transcripts. A discussion of transcription of the words rod and yard can be found on page 20. For information on the editorial approach used in preparing the transcripts for web publication, see our Style Guide. See also a sample set of subpoenas from John D. Lee’s first trial. Search or download the trial transcripts below. For example, when Mountain Meadows Massacre: Collected Legal Papers cites to “Trial matrix, 70,” enter “70”. For example, when Massacre at Mountain Meadows cites to “JDL1-BT 3:126,” choose “Trial 1”, “BT”, “Book 3”, and enter “126”. Page from Josiah Rogerson’s shorthand record of the first John D. Lee Mountain Meadows Massacre trial. 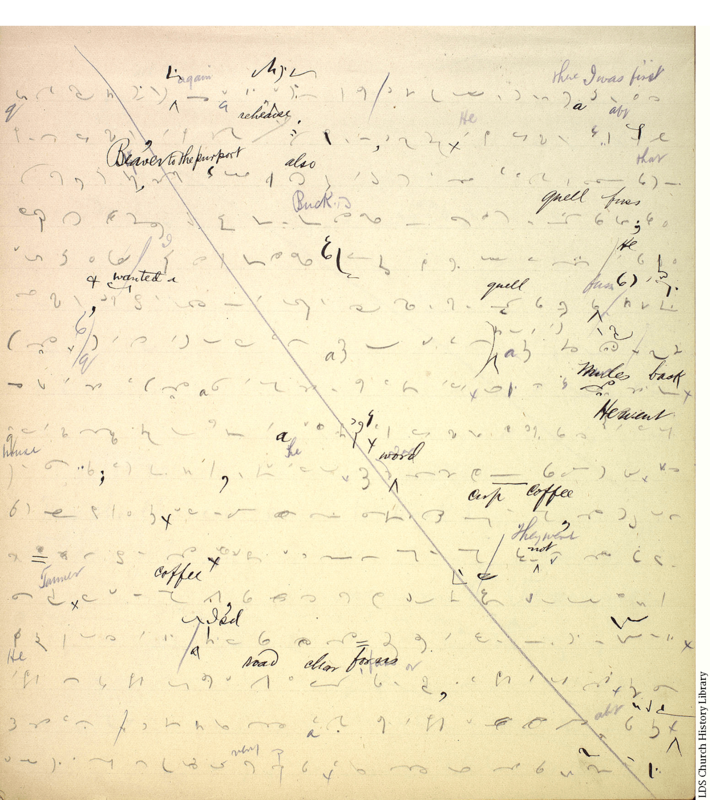 The words written in longhand were included by Rogerson, who also drew the diagonal line across the sheet when he completed his transcription of that page. Click to enlarge.